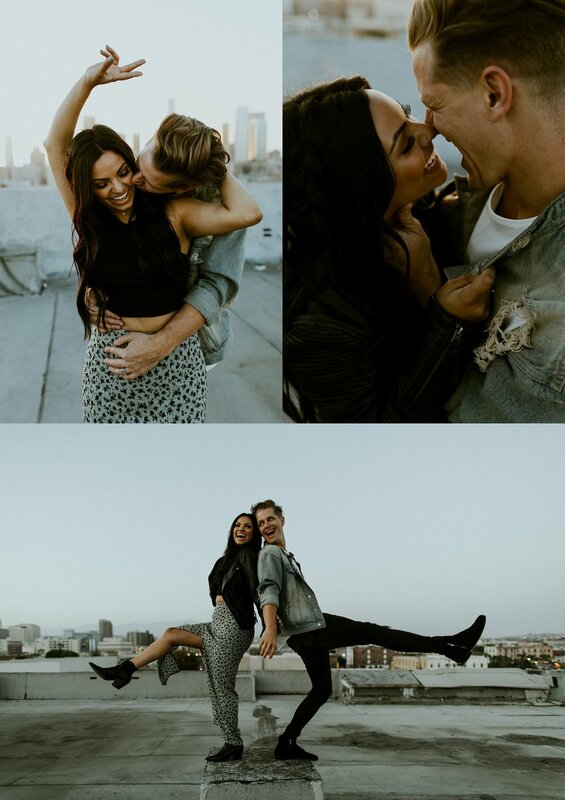 When you’ve got one of the best views of the DTLA skyline and the cutest newlyweds in front of your camera, it’s the best way to spend an evening in Los Angeles. Sam and Nick are some of the kindest people. Their chemistry is with one another is FIRE. Sam is also an ultra talented florist in LA and I’m always inspired when I see her work pop up in my IG feed. I had the BEST time watching these two play, flirt, dance, and take part in all the cutesy moments in front of my camera.